Is Christianity a Life or is it a Doctrine? But, it will be said, Christianity is a life, not a doctrine. The assertion is often made, and it has an appearance of godliness. But it is radically false, and to detect its falsity one does not even need to be a Christian. For to say that "Christianity is a life" is to make an assertion in the sphere of history. The assertion does not lie in the sphere of ideals; it is far different from saying that Christianity ought to be a life, or that the ideal religion is a life. The assertion that Christianity is a life is subject to historical investigation exactly as is the assertion that the Roman Empire under Nero was a free democracy. Possibly the Roman Empire under Nero would have been better if it had been a free democracy, but the historical question is simply whether as a matter of fact it was a free democracy or no. Christianity is an historical phenomenon, like the Roman Empire, or the Kingdom of Prussia, or the United States of America. And as an historical phenomenon it must be investigated on the basis of historical evidence. Is it true, then, that Christianity is not a doctrine but a life? The question can be settled only by an examination of the beginnings of Christianity. Recognition of that fact does not involve any acceptance of Christian belief; it is merely a matter of common sense and common honesty. At the foundation of the life of every corporation is the incorporation paper, in which the objects of the corporation are set forth. Other objects may be vastly more desirable than those objects, but if the directors use the name and the resources of the corporation to pursue the other objects they are acting ultra vires of the corporation. So it is with Christianity. It is perfectly conceivable that the originators of the Christian movement had no right to legislate for subsequent generations but at any rate they did have an inalienable right to legislate for all generations that should choose to bear the name of "Christian." It is conceivable that Christianity may now have to be abandoned, and another religion substituted for it; but at any rate the question what Christianity is can be determined only by an examination of the beginnings of Christianity. 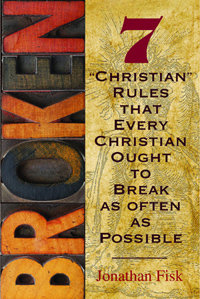 The beginnings of Christianity constitute a fairly definite historical phenomenon. The Christian movement originated a few days after the death of Jesus of Nazareth. It is doubtful whether anything that preceded the death of Jesus can be called Christianity. At any rate, if Christianity existed before that event, it was Christianity only in a preliminary stage. The name originated after the death of Jesus, and the thing itself was also something new. Evidently there was an important new beginning among the disciples of Jesus in Jerusalem after the crucifixion. At that time is to be placed the beginning of the remarkable movement which spread out from Jerusalem into the Gentile world--the movement which is called Christianity. Certainly with regard to Paul himself there should be no debate; Paul certainly was not indifferent to doctrine; on the contrary, doctrine was the very basis of his life. His devotion to doctrine did not, it is true, make him incapable of a magnificent tolerance. One notable example of such tolerance is to be found during his imprisonment at Rome, as attested by the Epistle to the Philippians. Apparently certain Christian teachers at Rome had been jealous of Paul's greatness. As long as he had been at liberty they had been obliged to take a secondary place; but now that he was in prison, they seized the supremacy. They sought to raise up affliction for Paul in his bonds; they preached Christ even of envy and strife. In short, the rival preachers made of the preaching of the gospel a means to the gratification of low personal ambition; it seems to have been about as mean a piece of business as could well be conceived. But Paul was not disturbed. "Whether in presence, or in truth," he said, "Christ is preached; and I therein do rejoice, yea, and will rejoice" (Phil. i. 18). The way in which the preaching was being carried on was wrong, but the message itself was true; and Paul was far more interested in the content of the message than in the manner of its presentation. It is impossible to conceive a finer piece of broad-minded tolerance. But the tolerance of Paul was not indiscriminate. He displayed no tolerance, for example, in Galatia. There, too, there were rival preachers. But Paul had no tolerance for them. "But though we," he said, "or an angel from heaven, preach any other gospel unto you than that which we have preached unto you, let him be accursed" (Gal. i. 8). What is the reason for the difference in the apostle's attitude in the two cases? What is the reason for the broad tolerance in Rome, and the fierce anathemas in Galatia? The answer is perfectly plain. In Rome, Paul was tolerant, because there the content of the message that was being proclaimed by the rival teachers was true; in Galatia he was intolerant, because there the content of the rival message was false. In neither case did personalities have anything to do with Paul's attitude. No doubt the motives of the Judaizers in Galatia were far from pure, and in an incidental way Paul does point out their impurity. But that was not the ground of his opposition. The Judaizers no doubt were morally far from perfect, but Paul's opposition to them would have been exactly the same if they had all been angels from heaven. His opposition was based altogether upon the falsity of their teaching; they were substituting for the one true gospel a false gospel which was no gospel at all. It never occurred to Paul that a gospel might be true for one man and not for another; the blight of pragmatism had never fallen upon his soul. Paul was convinced of the objective truth of the gospel message, and devotion to that truth was the great passion of his life. Christianity for Paul was not only a life, but also a doctrine, and logically the doctrine came first. But what was the difference between the teaching of Paul and the teaching of the Judaizers? What was it that gave rise to the stupendous polemic of the Epistle to the Galatians? To the modern Church the difference would have seemed to be a mere theological subtlety. About many things the Judaizers were in perfect agreement with Paul. The Judaizers believed that Jesus was the Messiah; there is not a shadow of evidence that they objected to Paul's lofty view of the person of Christ. Without the slightest doubt, they believed that Jesus had really risen from the dead. They believed, moreover, that faith in Christ was necessary to salvation. But the trouble was, they believed that something else was also necessary; they believed that what Christ had done needed to be pieced out by the believer's own effort to keep the Law. From the modern point of view the difference would have seemed to be very slight. Paul as well as the Judaizers believed that the keeping of the law of God, in its deepest import, is inseparably connected with faith. The difference concerned only the logical--not even, perhaps, the temporal--order of three steps. Paul said that a man (1) first believes on Christ, (2) then is justified before God, (3) then immediately proceeds to keep God's law. The Judaizers said that a man (1) believes on Christ and (2) keeps the law of God the best he can, and then (3) is justified. The difference would seem to modern "practical" Christians to be a highly subtle and intangible matter, hardly worthy of consideration at all in view of the large measure of agreement in the practical realm. What a splendid cleaning up of the Gentile cities it would have been if the Judaizers had succeeded in extending to those cities the observance of the Mosaic law, even including the unfortunate ceremonial observances! Surely Paul ought to have made common cause with teachers who were so nearly in agreement with him; surely he ought to have applied to them the great principle of Christian unity. Paul certainly was right. The differences which divided him from the Judaizers was no mere theological subtlety, but concerned the very heart and core of the religion of Christ. "Just as I am without one plea, But that Thy blood was shed for me"-- that was what Paul was contending for in Galatia; that hymn would never have been written if the Judaizers had won. And without the thing which that hymn expresses there is no Christianity at all.